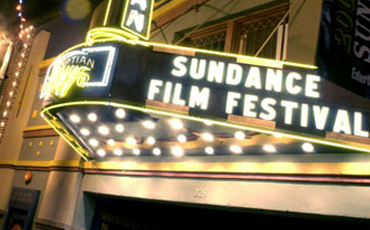 Sundance Film Festival 2012 ~ Learn, Live, and Explore! For two weeks in January, Park City, Utah becomes the destination for Hollywood actors, actresses, directors, etc. looking to screen their recent independent films, as well as see and be seen. Planning to go to the event as a non-celeb is not difficult, but start early (as much as a year in advance) in order to get lodging reserved and be prepared to shell out a lot of money for the room. 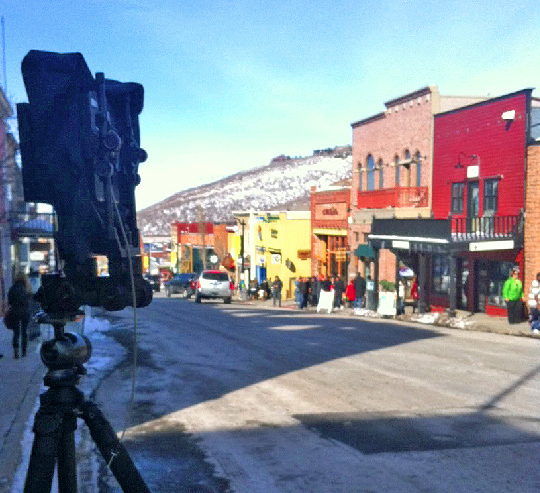 While in Park City, there are basically only a few things to do during the festival. In the day, you can either ski or see films. At night, there are more films to see, food to eat, and drinks to order (albeit a little weaker than normal due to liquor laws in Utah). If it's your intention to get some good celebrity watching in, it's best to go during the first weekend when the films are being premiered and the parties are, primarily, being held. A good portion of my celeb sightings were actually at the airport. Look for the paparazzi, and you'll be fine. 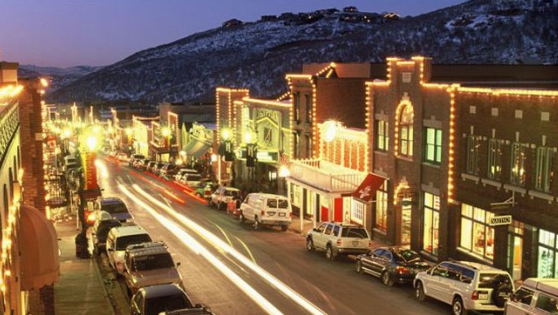 Park City Mountain Resort: Accessible to all levels of skiers, and due to its proximity to downtown PC, also probably your best bet to bump into a celeb or two. For extreme skiers and snowboarders, it has an Olympic half pipe, freestyle jumps, and a challenging giant slalom course. Costco sometimes has lift ticket packages, so be on the lookout. The Canyons: For more experienced skiers who like less crowded run options and more chance for great powder, make the short drive over to this resort. Costco sometimes has lift ticket packages for The Canyons too. 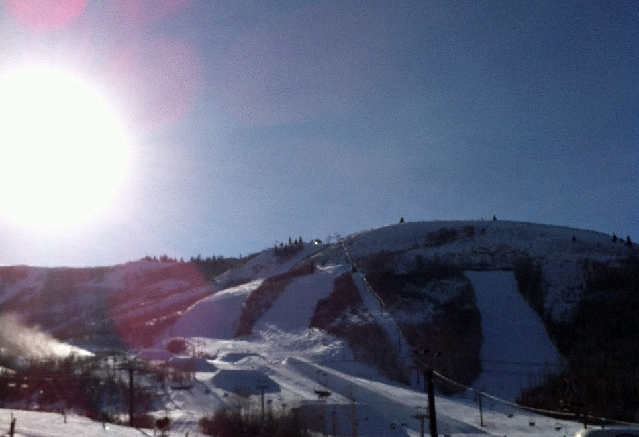 Deer Valley: No snowboarders allowed! Alta and Snowbird are also great Utah skiing options while in PC, but you'll need at least 1 hour to drive there. Utah locals receive the benefits of special pricing and priority access to tickets. After the lottery is held, if you've been awarded permission to purchase tickets, you will receive an email notice of your timeslot. Once at the theater, note that people start to line up early and ticketholders may not be admitted until 15 minutes before the movies start time. Sometimes, this waiting area is outside, so dress appropriately. 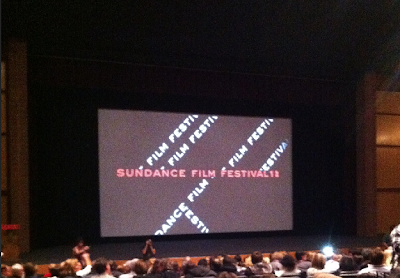 There are also waitlist opportunities if you are unable to get any of your preferred movies or times. Check out the festival's website for more details. As for the dining and nightlife, parking is a challenge for Main Street, in fact Main Street itself is for loading/unloading only. Take advantage of the free festival shuttles, that are running to transport moviegoers to the different theater venues, and the town trolley, or be prepared to spend upward of $20 (worst price: $16 for three hours at one lot) to park. Taxis are another option, but they are not cheap, nor are there enough to satisfy the demand during the festival. Several popular bars are located in the middle of Main Street near one of the festival sponsored party spots - Sidecar, Spur, Flanagan's, O'Shucks, and No Name Saloon. The festival is not limited to just movies and movie stars, musicians also come to town and often you will find live music at bars, at the Sundance Music Cafe, or at specific venues or exclusive parties. Be surprised if a bar DOESN'T have a cover charge of $10-20. Also dress warmly because you will very likely be waiting outside to get in. For women, be thoughtful about your shoe selection because the sidewalks can be slippery with the snow, slush, and ice. Most importantly, make sure to mingle - you never know with whom you'll end up talking! For restaurants, make reservations in advance for the popular restaurants. Try Talisker on Main or Riverhorse on Main for upscale eating, Wasatch Brew Pub for local brews and food, or The Eating Establishment for all day dining (and long breakfast hours!). 501 on Main is another restaurant to consider. There's also Robert Redford's own restaurant, Zoom!